The taxpayer must also file FBARs for the most recent 6 years the FBAR was due and should have been filed. FBAR is filed by filing FinCEN Form 114 online, which was previously TD F 90-22.1. The taxpayer must pay the necessary offshore penalty, which is currently 5% for the Streamlined OVDP. The total amount of tax due when including the necessary income in gross income, interest and the streamlined offshore penalty should be remitted when filing the amended tax returns. Now that we know the procedure for the streamlined program, how is the 5% penalty calculated? The offshore penalty of 5% is calculated by taking 5% of the highest aggregate balance (or value) of the taxpayer’s foreign financial assets that would be subject to the offshore penalty for the years covered by the tax return and FBAR period. The highest aggregate balance is determined by taking the year-end balances and year-end asset value(s) of the foreign financial assets that would be subject to the offshore penalty for the applicable periods of tax return and FBAR filings. The highest value for a single year, for the applicable years would then be subject to the penalty. What assets are subject to the 5% offshore penalty? If a foreign financial asset should have been reported on an FBAR, but was not, the asset is subject to the penalty. An asset can also be subject to the 5% offshore penalty even if the asset was reported, but gross income from the asset or in respect of the asset was not included in the taxpayer’s gross income. If you have failed to report foreign financial assets and/or income, a tax attorney at The McGuire Law Firm can represent you before the IRS and assist you with your obligations. This article has been drafted by John McGuire, a tax attorney in Denver, Colorado with The McGuire Law Firm. Mr. McGuire’s practice focuses primarily on tax matters before the IRS, tax planning & related issues and business transactions. 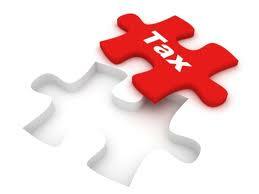 You can schedule a free consultation with a Denver tax attorney by contacting The McGuire Law Firm.